In 1985 JI-MC was started by David Jefferson. He works on Business Growth initiatives with successful companies that want to do more. His work in corporate strategy, sales and marketing, IT strategy and more recently, the broader customer interface and CRM feasibility work, spans more than 25 years. Assignments include projects with organisations like like Unilever, Natwest, Imperial Group, Smiths Group, BP and Wells & Youngs PLC. In 1990 JI-MC expanded to include Sales Force Automation and laterly CRM applications through a new business unit; JI Software. Together with JI-MC they form JI Group. 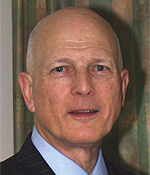 David is a member of Richmond Group, the UK’s leading association of Independent Management Consultants, and is a past-Chairman. Richmond Group associates are a valued resource providing JI-MC clients a broad range of business consulting skills which is second to none in the industry. In 1997 JI Software joined the Computing Services and Software Association. David was later elected as Director and was involved in the development of the organisation to form the new trade body Intellect, representing over 1000 organisations in the Information Technology, Communications and Electronics industries. Members of Intellect both large and small represent jointly over 10% of the UK’s GDP. David served for over 8 years on the board. David was responsible for setting up Intellect’s Business Growth Forum, providing resources to underwrite the success of Intellect’s SME community. He chaired it’s Management Committee and has given many lectures on sales, CRM, and business growth. Intellect was relaunched as techUK and continues to be actively engaged in leading and promoting the development of the Knowledge-based economy (www.techUK.org). JI-MC undertakes hands-on partenrship assignments when we have a good match between client needs and the resources and skills we bring to bear on client issues.